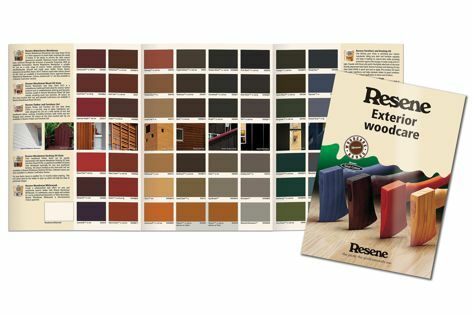 The Woodsman wood stain range from Resene can help to enhance, rejuvenate and recolour weathered timber. From the deepest blacks to natural browns and a selection of bolder hues, the colours in the Resene Woodsman wood stain range offer everything needed to stain exterior timbers such as weatherboards, decks, fences and landscaping features. The elements are tough on timber finishes and the Woodsman range can help to enhance, rejuvenate and recolour weathered timber. The range includes Resene CoolColour, an innovative technology that means dark colours can be used that minimize heat build up.